The twitter feed from @DoubleXSci since early December has featured Notable Historical and Modern Women in Science. Nearly 100 women were presented. Those women will be presented in a series here on the blog with the original tweeted links and information as well as with some additional information not able to be presented in 140 characters. Each woman could have multiple pages written on her; however, I have limited each to a paragraph. I hope you look up more on these women. The International Year of Chemistry 2011 recently wrapped up, so I’d like to share a little more about some historical women in chemistry. The first historical woman in chemistry is perhaps Miriam the Alchemist, who lived in the 1st or 2nd century C.E. Her writings survived centuries. She has several aliases: Mary, Maria, and Miriam the Prophetess or Jewess. Even though she was an alchemist, which was mostly a mystical field during her time, her inventions and contributions yielded long-lived practical laboratory equipment. Miriam the Alchemist contributed major inventions and improvements to existing technology, as well as the water bath. The water bath is still in use today for many chemical experiments, as was dubbed “bain-marie” in the 14th century. Agnes Fay Morgan (1884-1968) was a pioneer in vitamin research. She earned her B.S., M.S., and Ph.D. from the University of Chicago. She also established Iota Sigma Pi, an honor society for women chemists. Morgan received the Garvan Medal and the Borden Award and was the only one of her family to attend college. Her efforts brought both nutrition and home economics to scientific disciplines. Besides her teaching position and doing research in academia, she also was an accomplished administrator and worked with the government on many occasions. She had many firsts in her research and an enormous number of publications. Colloid Chemist Marjorie Jean Young Vold (1913-1991) was a prolific and distinguished scientist. She earned her B.S. and Ph.D. from University of California, Berkeley. Vold balanced academic and industrial chemist careers spanning over five decades. At the age of 45, she was diagnosed with multiple sclerosis but continued her dual chemistry careers despite being confined to a wheelchair. She was the LA Times Woman of the Year and received the Garvan Medal. One month before her death, Vold submitted her final paper, which was published posthumously. Lucy Weston Pickett (1904-1997) chose a career in chemistry over marriage. She earned her B.A. and M.A. from Mt. Holyoke College and her Ph.D. from the University of Illinois and advanced through her academic career to become department chair. She received the Garvan Medal and two honorary D.Sc. degrees. She was so influential in her career that a fund was established in her name upon her retirement, which she requested be used to bring female speakers to the department. Mary Lura Sherrill (1888-1968) was known for synthesis of antimalarial drugs. She earned her B.A. and M.A. from Randolph-Macon College and her Ph.D. from the University of Chicago. Her academic career included becoming the chair of her department. She also received the Garvan Medal. Chemist, Ecologist, and Home Economist Ellen Swallow Richards (1842-1911) was one of Vassar College’s first graduates, with an A.B. She earned her B.S. from MIT as its first woman graduate and her M.A. from Vassar College the same year. She had many firsts, including improving the standard of living by applying chemistry to sanitation, opening up science for women, and developing the home economics movement. Richards was also the first woman member of the American Institute of Mining and Metallurgical Engineers and first woman teacher at the MIT department of sanitary chemistry. She was awarded an honorary doctorate from Smith College. Grace Medes (1886-1967) was a pioneer in metabolism research. She earned her B.A. and M.A. from the University of Kansas and her Ph.D. from Bryn Mawr. Her academic career progressed until she became a department head and chairman. She earned the Garvan Medal and several Distinguished Service Citations. Dr. Medes was at the forefront of cancer research and named a rare disease, tyrosinosis [PDF]. Marguerite Perey (1909-1975) was the first woman to enter the French Academy of Science in 300 years. She earned her Diplôme d'État de chimiste from École d'enseignement technique féminine and her doctorate from Sorbonne. She worked with Marie Curie and discovered the element francium. Perey received the Lavoisier Prize from the Academie des Sciences and the Silver Medal from the Societe Chimique de France. Bacteriologist and Chemist Mary Engle Pennington (1872-1952) was a food preservation pioneer. Despite completing the requirements for a B.S. degree at the University of Pennsylvania, she was granted only a Certificate of Proficiency. She earned her Ph.D. from the University of Pennsylvania. 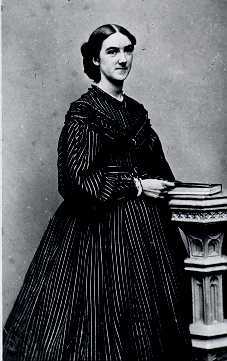 Dr. Pennington worked with the government although she hid her gender to receive her credentials. Called “ice woman” due to her advances in food preservation and refrigeration, she was known for a warm personality. Pennington was awarded numerous fellowships and was a member of many other professional organizations and honoraries, and received the Notable Service Medal and the Garvan Medal. Pauline Beery Mack (1891-1974) was an instructor and publisher and loved chemistry. She earned her B.A. from Missouri State University, M.A. from Columbia University, Ph.D. from Pennsylvania State College, and a D.Sc. from Moravian College for Women, Western College for Women. She began the publication the Chemistry Leaflet which eventually became published by the American Chemical Society. She received the Distinguished Daughters of Pennsylvania Medal, the Garvan Medal, and the Astronauts Silver Snoopy Award. Dr. Mack also maintained a busy life outside of science, including basketball and music. She taught more than 12,000 undergraduates over her 30 years at Penn State. She was adept at securing funding for her research, no small feat for a woman in the 1930s. Mack continued into an administrative career and worked full time until she was 79. The Borden Award is given in recognition of distinctive research by investigators in the United States and Canada which has emphasized the nutritive significance of milk or any of its components. LA Times Woman of the Year began as annual awards ceremony to honor women for individual achievement and was awarded from 1950 to 1976. Lavoisier Prize (Lavoisier Medal) is awarded by the SCF to an individual or institution to distinguish the work or activities involving the chemistry honor. Distinguished Daughters of Pennsylvania are those whose achievements on a national and statewide scale have been so outstanding that they have brought honor and respect to the commonwealth. Astronauts Silver Snoopy Award candidates will have made contributions toward enhancing the probability of mission success, or made improvements in design, administrative/technical/production techniques, business systems, flight and/or systems safety or identification and correction or preventive action for errors.